Nala the cat is an explorer. 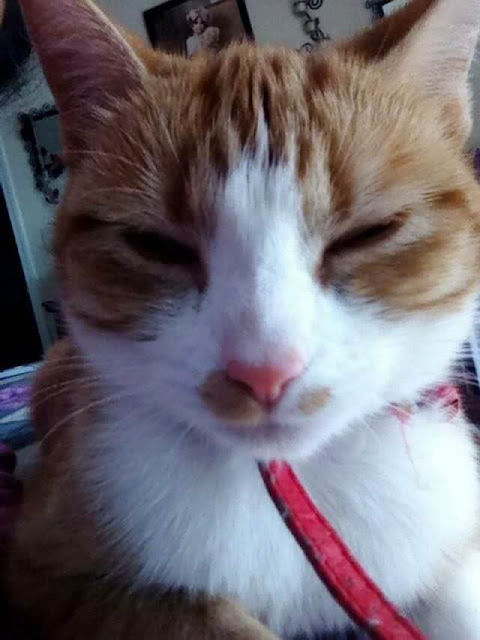 She was so good at going out, exploring, then coming back at night, that her owners never worried about her. But one night, when she returned, she had brought something back with her. It was a note attached to her collar. 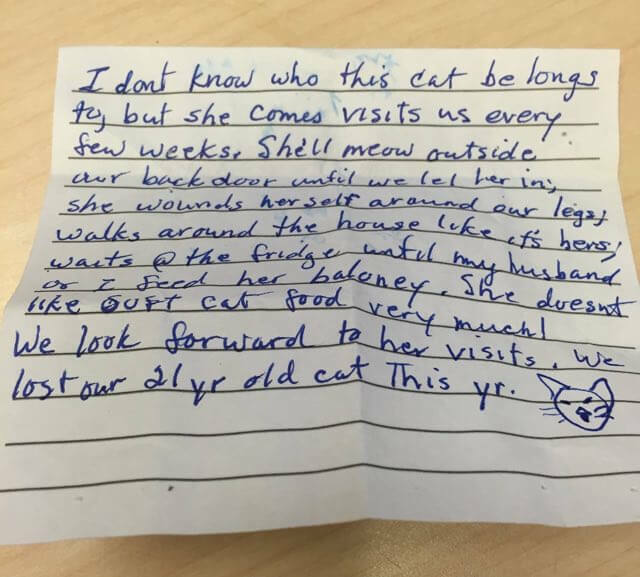 The note came from a neighbor, whom, as it turns out, had been visited by Nala often during the year. 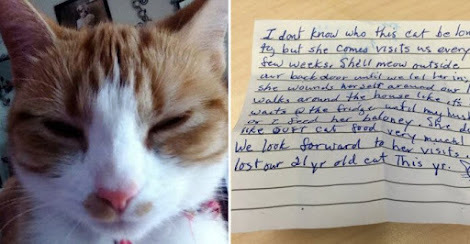 Check out Nala the cat and read the note that she brought back! Wow! At first you think this might be an inconvenience for the neighbor as they are feeding her and allowing her to roam around their home. But when you get to the end of the letter, you realize what a blessing Nala turned out to be for this family! Really amazing how much joy cats can bring to humans and how they always seem to find a way to comfort those who really need it!